September Me was formed in November 2012 in Tokyo Tachikawa. 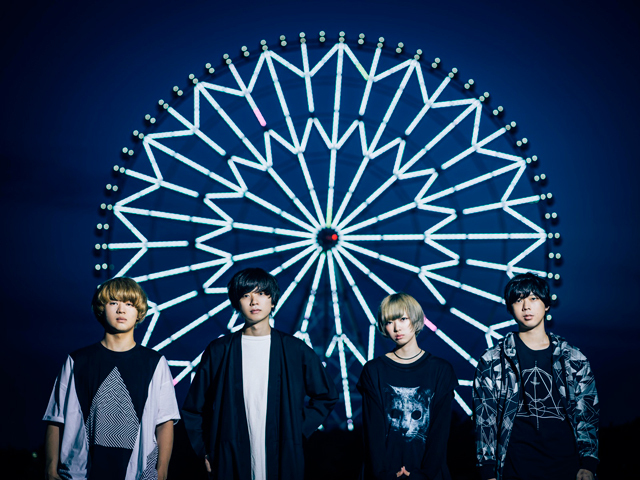 After several member changes, they settled on the form of a three piece band by Hiroto Doi (Vo/G), Coconut Senpai(Bass/Bv), and Ai Kishinami (Dr/Bv). They band went on to 124 show tour for all 47 prefectures from April 2015 for about a year. In September their first solo show at Shelter Shimokitazawa was sold out. In November , they released an EP titled “Godspeed you!”. Before the end of the tour, in March 2016, Tarna Tanaka(G/Bv) , who had been the support musician for the band, officially joined them. The band settled onto the existing four piece formation. Their music is all self-produced and their aggressive and emotional music creates such a buzz that the entrance to their shows at festivals and events gets restricted. Semtember Me is also called “Berme” short for “September Me”.